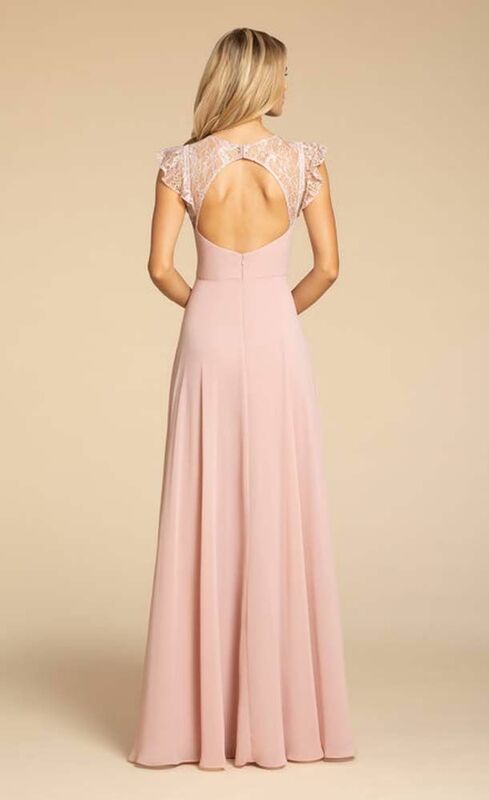 Hayley Paige Occasions Bridesmaids Style 5912 - Dusty Rose chiffon A-line gown, Rose lace bodice with V-neckline and ladder trim detail, ruffle sleeves, natural waist, keyhole back. PLEASE NOTE THAT DELIVERY TIMES ARE ESTIMATES ONLY AND CAN VARY! Please E-mail us for special offers.